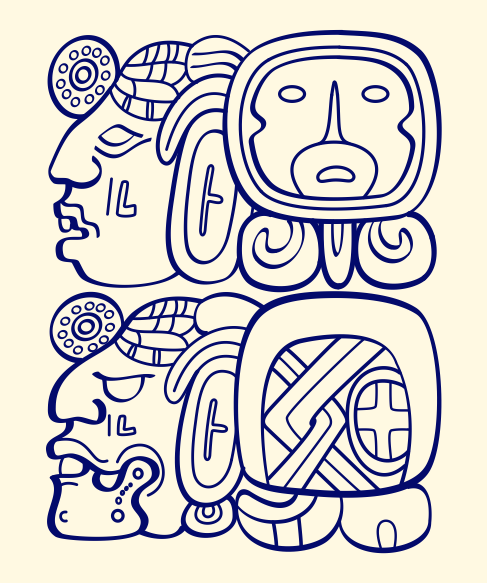 3 Ajaw 13 Pop (April 15, 2014): Contemporary Maya poem, in glyphs! Recently, MAM board member Jorge Pérez de Lara forwarded to us at MAM a remarkable example of contemporary Maya literature transcribed into glyphs. More than remarkable, we find it inspirational, and hereby share it with our readers. The poem is written in Mayat’aan (Yucatec Maya) by José Natividad Ic Xec, promoter of Maya culture, native of Peto, Yucatán. Educator and philosopher, he is editor of the web page elchilambalam.com specializing in the “magic” of the Maya people. Author of “La Mujer sin Cabeza” and other Maya stories and of “Flor Curativa: El milagro de la medicina de los mayas” that the Gran Museo Maya has agreed to publish. Also he writes on Twitter and Facebook and gives classes in Maya by Skype, which is how he is currently supporting himself. The glyphic version of the poem was written/painted (dz’iib) by Guillermo Kantún, epigrapher living in Mérida. We express our gratitude to José Ic and Guillermo Kantún for allowing us to reproduce their work on our web site. Como se llama el glifo? El ahau observó con discernimiento. Agradeciendo de ante mano por su apoyo con sus conocimientos y apoyo para nuestros estudios, muchas gracias….